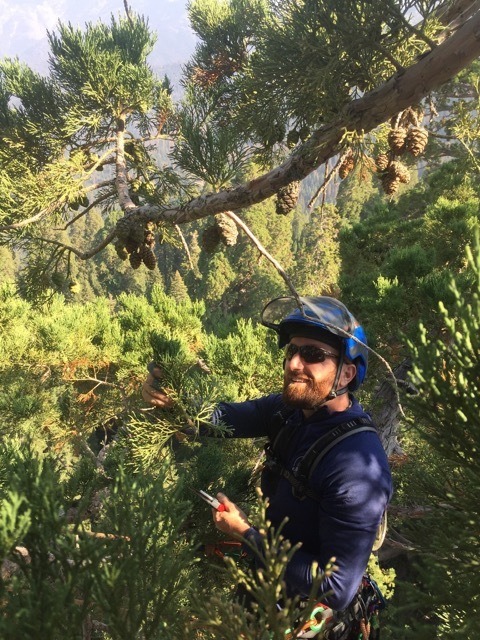 On Sequoia Crest Expedition #1 in May 2016, four months earlier, our mission was to collect new, spring-growth tip branch material from the highest parts of the sequoia canopies. 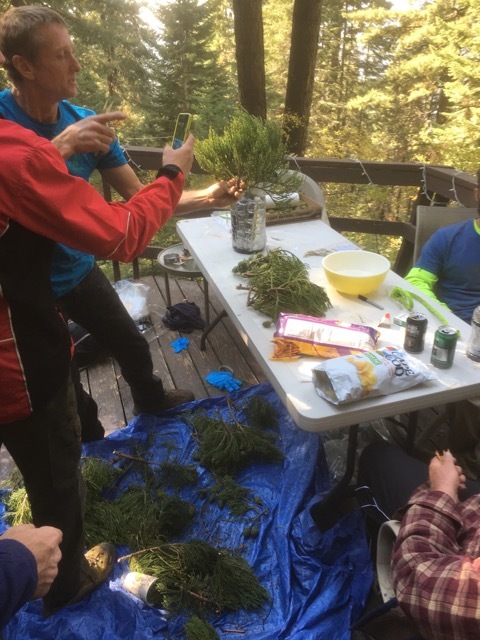 On Sequoia Crest Expedition #2 in September 2016, our mission was again to collect cuttings from the highest parts of the sequoia canopies, but this time cones were also collected. The following narrative and photos were provided by Expedition member Jim Clark. 1. 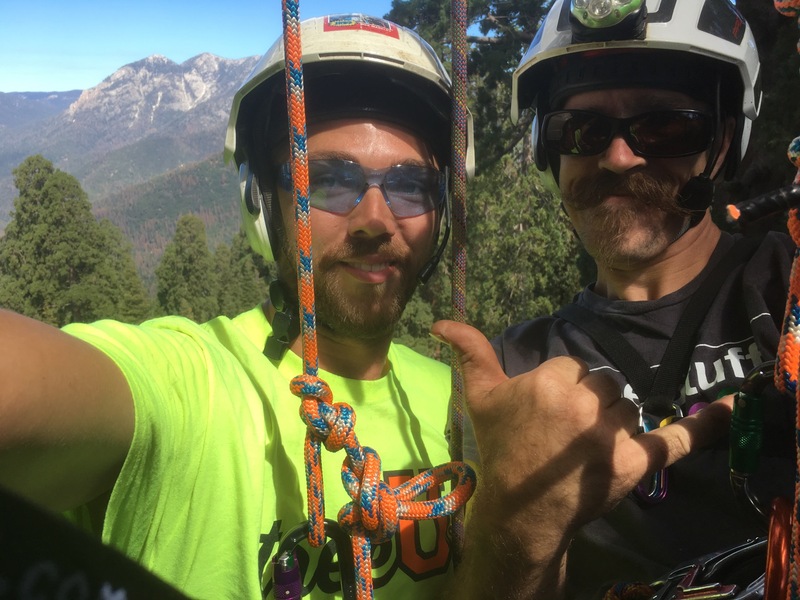 Eight highly skilled professional tree climbers from five different states paid their own way to be volunteers on Sequoia Crest Expedition #2. 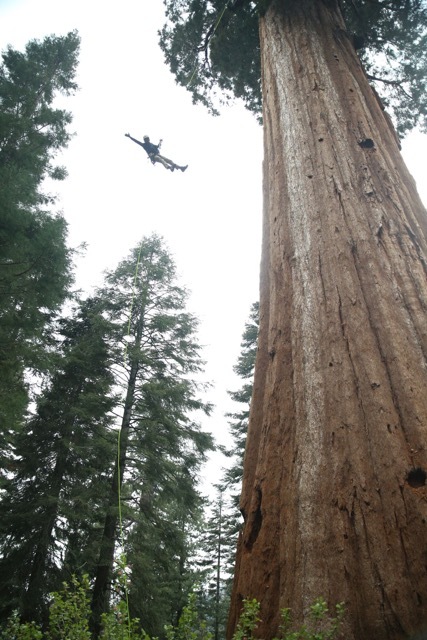 They travelled to California and ascended sequoias over 200 feet high to collect tip cuttings and cones. 2. 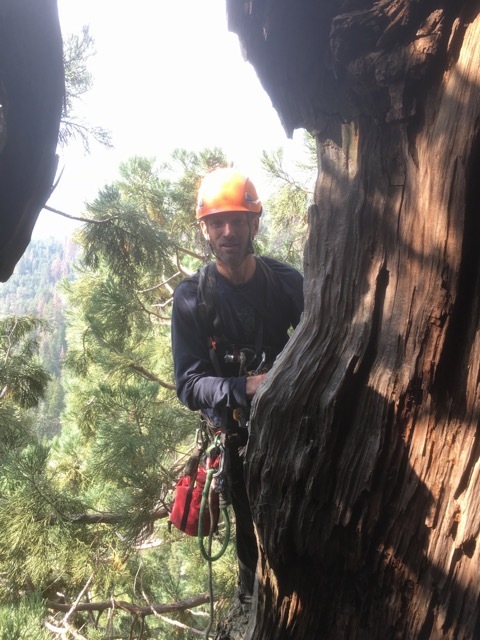 Team member and pro-climber, Bo Burke, caught crawling out of a woodpecker hole in a 3,000 year-old giant sequoia. 3. Shown here is climber/volunteer Doug Tochtrop at 240 feet up. This guy took volunteer duties to a whole new productive level, collecting premium branch tip material way out there, a place where it is guaranteed, no man has ever gone before. 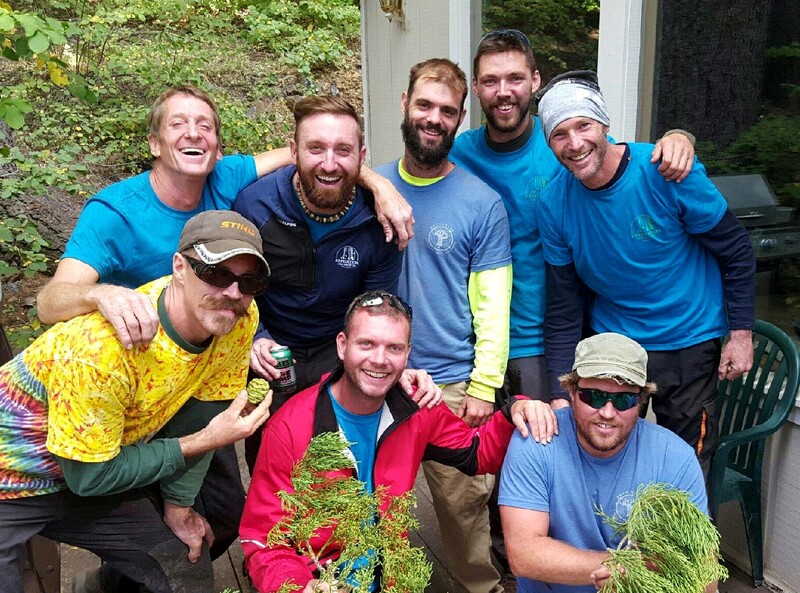 Doug exemplified the volunteer spirit, going above and beyond for the benefit of the Expedition. 4. 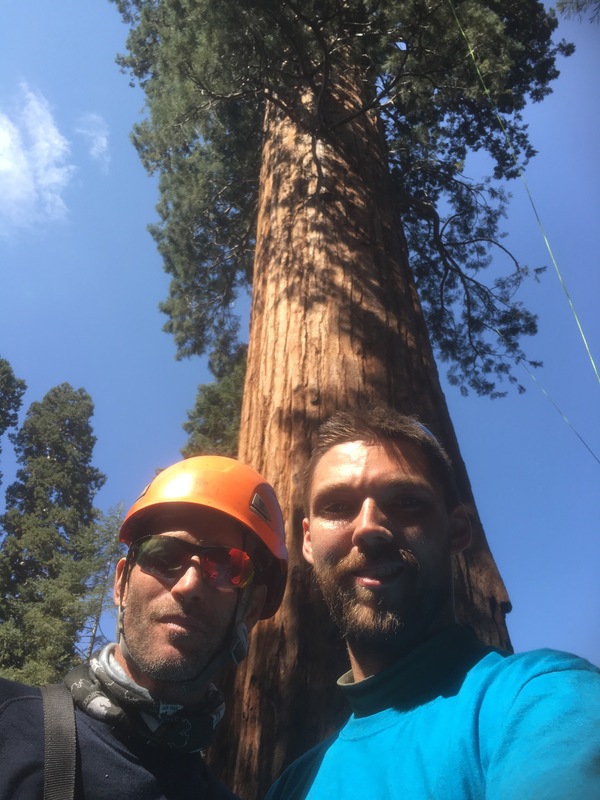 Team members Kev Bingham and Nick Markley scaled the massive sequoia behind them to collect both branch tip material and cones. These men knew they were risking their lives to perform these delicate operations at incredible heights. Every climber handled their duties like true champions. 5. 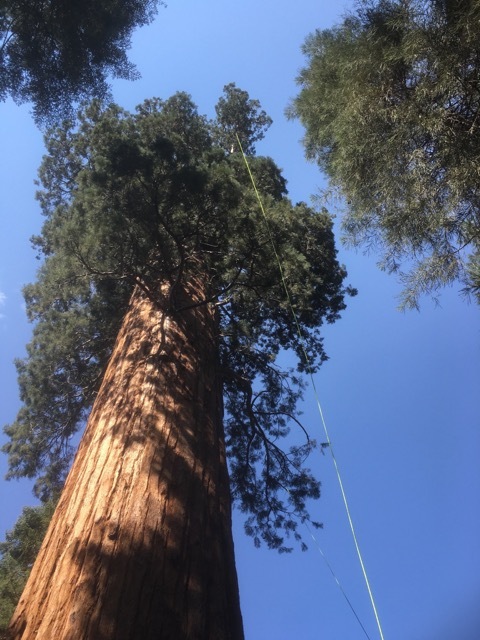 Here is a view at the very top of a sequoia. The tip material is what is needed back at the laboratory to create new trees. 6. My name is Jim Clark. 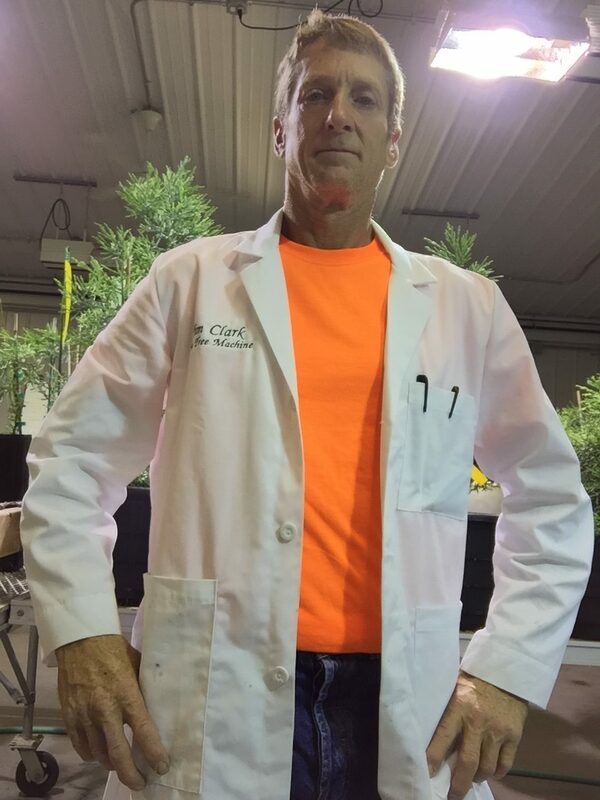 I am a volunteer, fortunate enough to be involved in both the climbing of the gigantic trees and the scientific/propagation end. I’d like to share with you how propagation is done and how this organization is able to create forests. 7. First, our team would like to reach out to this guy, Andrew Kittsley. 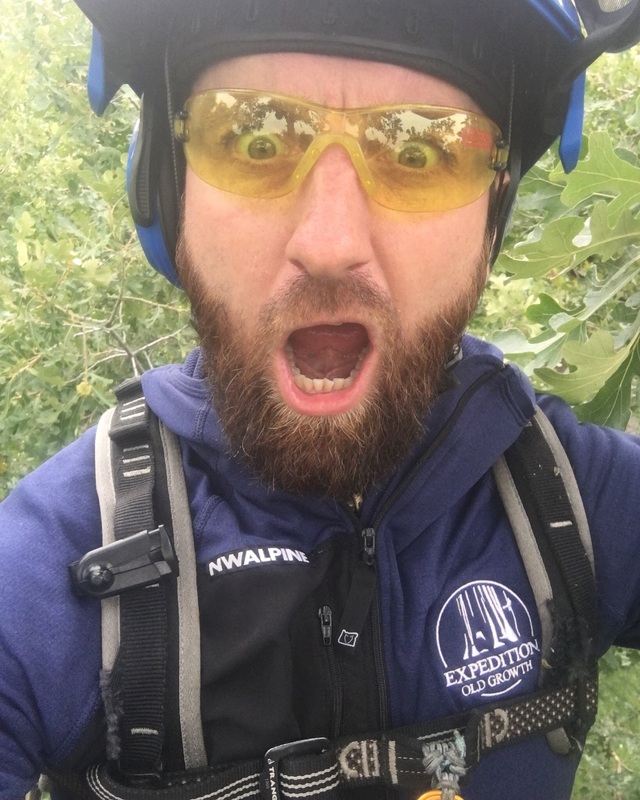 Andrew is a board certified master arborist and he is the head arborist for the city of Orlando, Florida. Our climbing team says this: Brother Kittsley, we are so sorry you could not come on this Expedition with us. The hurricane that buzzed across east Florida really sucked. Your county needed you. We missed your spirit and charisma. 8. A photo of Andrew Kittsley at a height of 140 feet while climbing on Expedition #1. The rest of this presentation is dedicated to Andrew. 9. 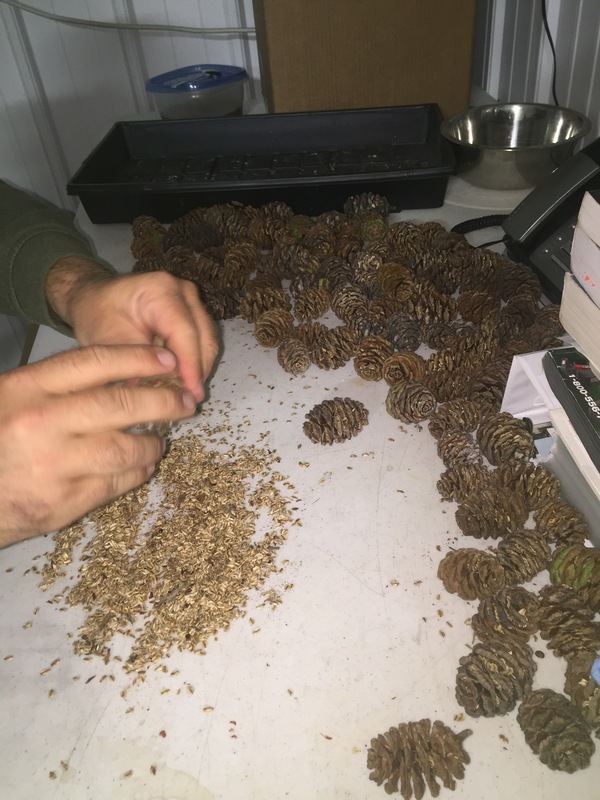 Back to our story about collecting branch tip material and collecting cones. Here we are back at camp. 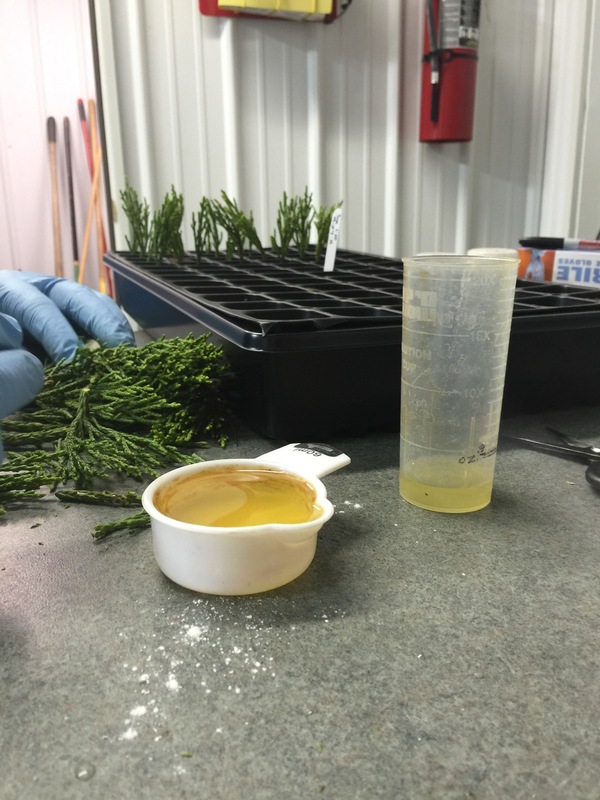 We are trimming and packaging the explant material that we collected from the tops of the trees earlier in the day. 10. 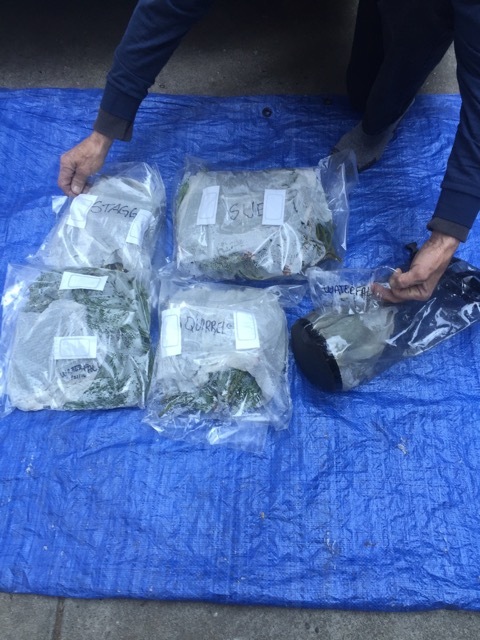 After trimming the material down to the most premium pieces, we placed them in breathable bags. Inside the clearly labeled bags are moisture-soaked paper towels to keep the humidity high. Everything now goes into a refrigerator or a cooler. 11. 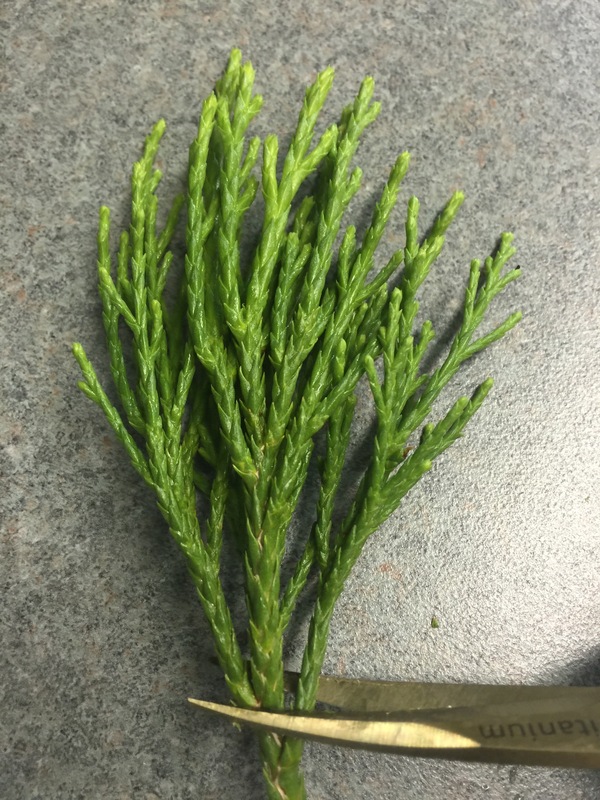 Remember, there is one other thing we collected out of the trees besides the freshest, newest green tip growth. Cones. 12. Cones. Our impressive climbers filled bags full of green cones and carried them throughout the climb, making their climb more difficult the more they collected. 13. 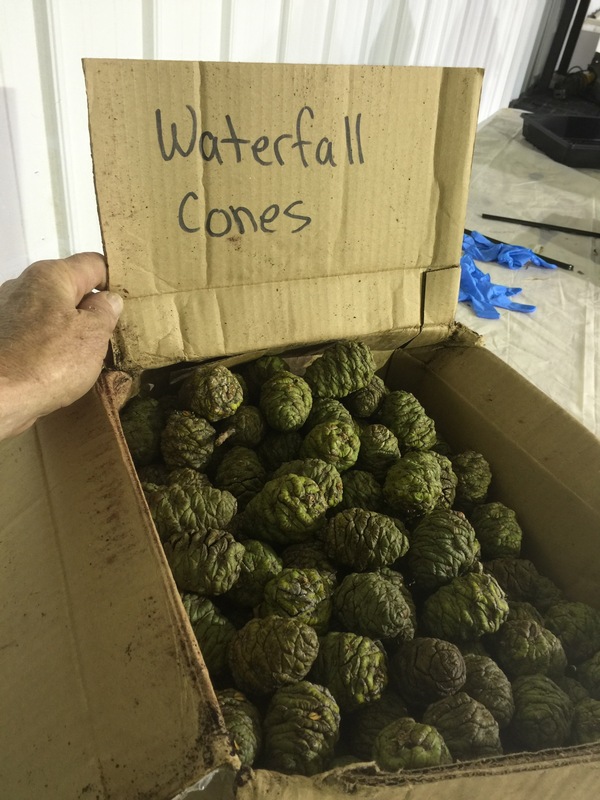 Back at camp we organized and packaged these cones in boxes for shipment to the lab in Michigan. The cones were shipped by UPS, but we carried the green branch tip material from the four sequoias on the plane with us back to Michigan. 14. 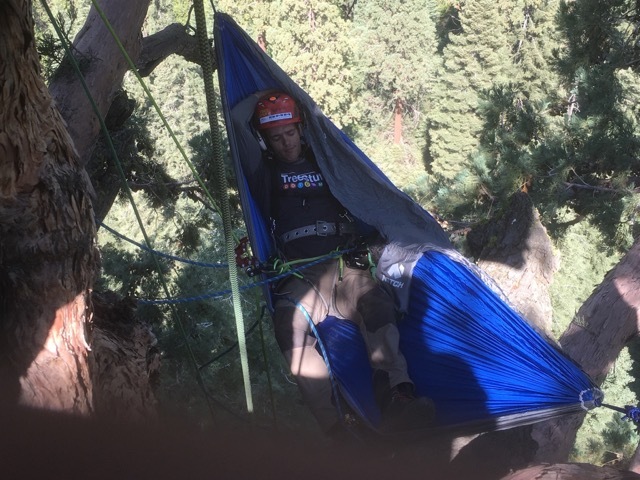 On the last couple of nights of the Expedition, some of the climbers chose to sleep the night at 200 feet above the ground. This is Nick Bonner. 15. The story about to be shared is what happened to those branch tips and cones that we collected. This volunteer climber is Kev Bingham, friend to all and also a Daddy. Kev, thank you for your fine work during this expedition. 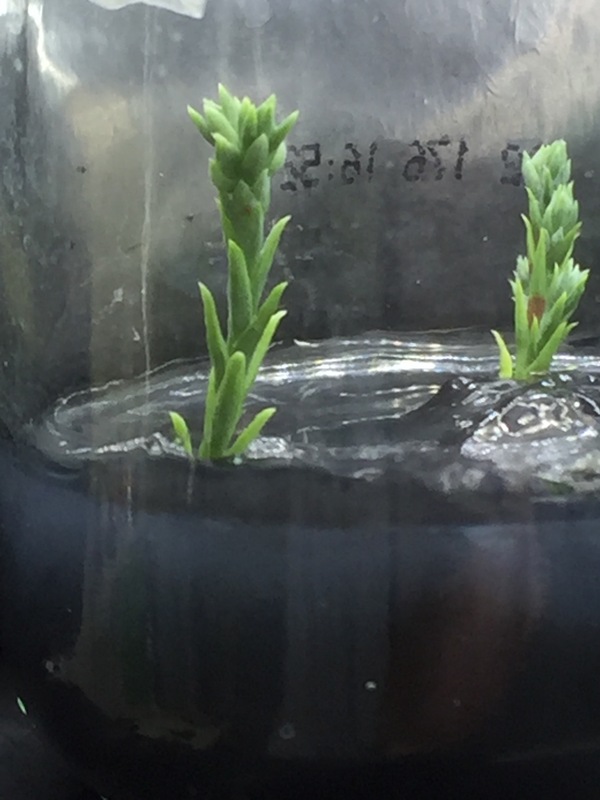 Please share with your children this upcoming lesson on how to propagate ancient trees. 16. 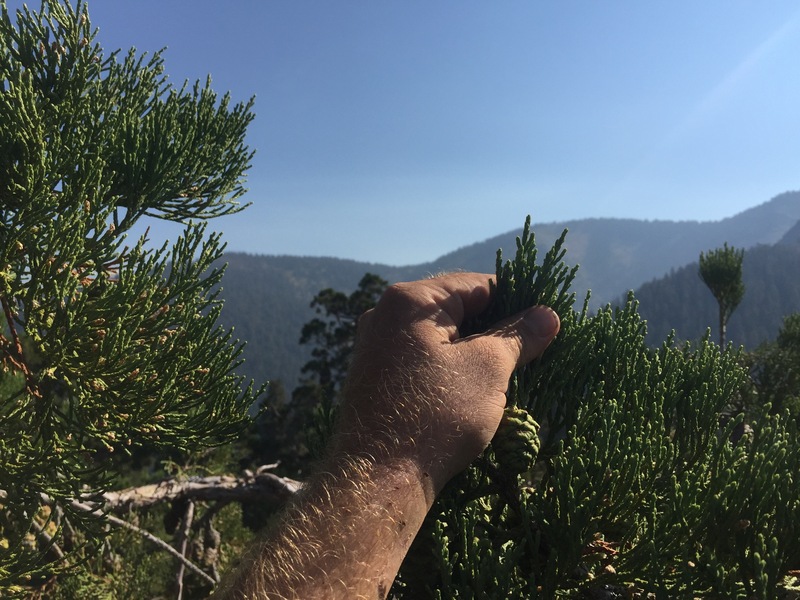 This is Damien Carré at the top of a sequoia on the top of the mountain collecting the new growth tips and cones at 250 feet up (76 M). 17. The 24-second clip below is a very special video, taken by our lead rigging technician, Damien Carré. Damien ascended to the top of the tallest sequoia, which is on top of a mountain peak. The video starts by showing you some actual new growth, green tip material at the very top of the tree just moments before he prunes it out. Then he does a steady 360 degree rotation so you can see the full-circle majestic beauty of the forest we are working in. Hint: For best effect, be sure to click on the “full screen” icon in the lower right for viewing the video. 18. Sequoia Crest Expedition #2 Climbing Team: Our leader is Jake Milarch, bottom right. Above Jake is Kev Bingham; moving left Nick Markley; middle Joey Drinkhorn; left dark-blue Damien Carré – our fearless technical rigging leader; far upper left, Jim Clark (aka Tree Machine); left bottom Luminescent Doug Tochtrop; middle bottom Bo Burke. 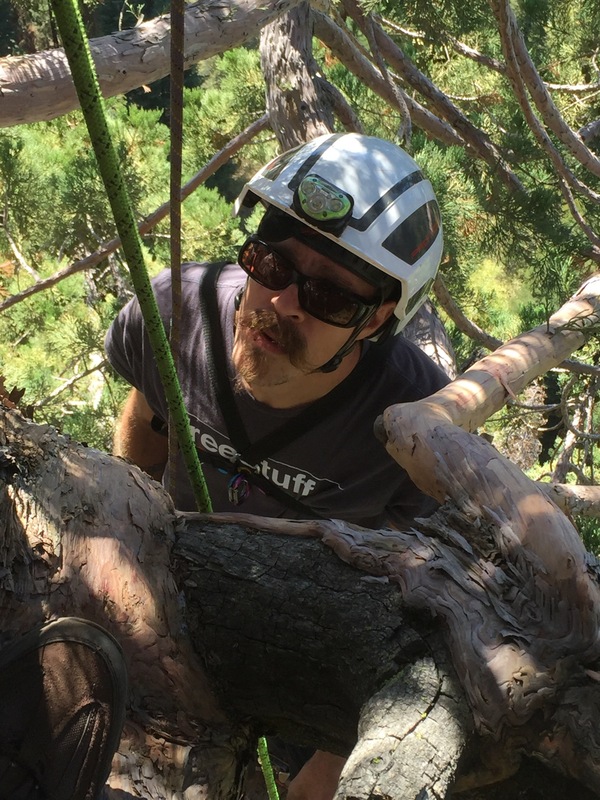 This Expedition has a scientific intention, but the experience of climbing and collecting from these very special trees was on the bucket list of every one of these climbers. 19. As all good things eventually come to an end, we had to leave the mountains and fly home. We carried with us all the explant material from the tree tips. 20. 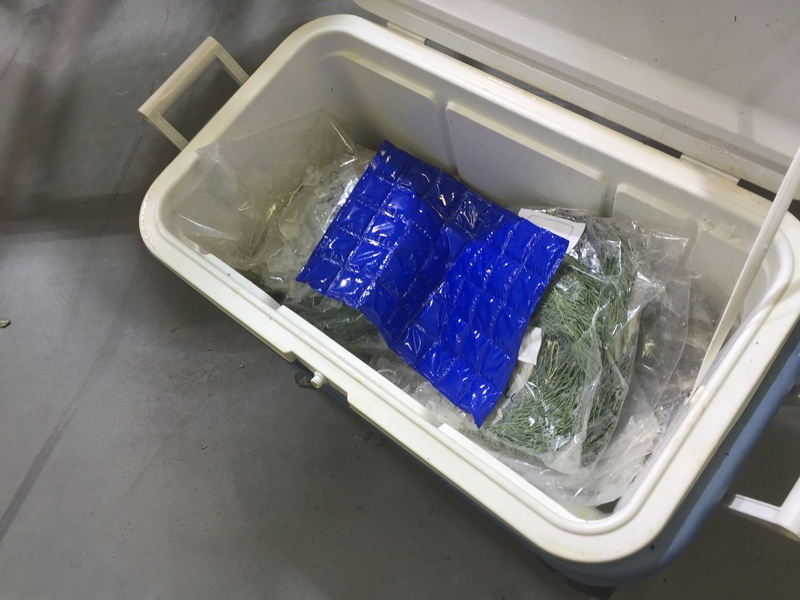 As soon as our plane touched down in Michigan we put all the biological material on ice and into a cooler. 22. This is where the process begins. 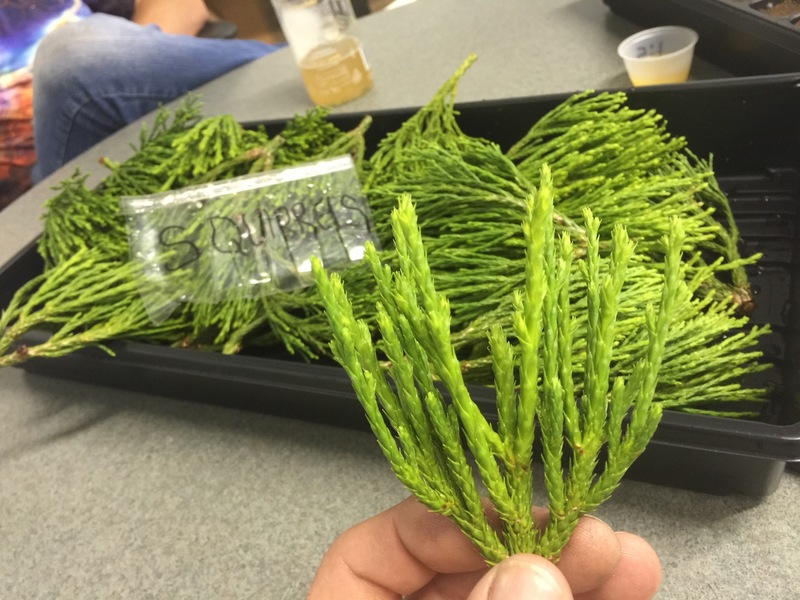 Step one: select some robust, fresh tip-growth from a 3,000 year-old giant sequoia. 23. We like to first select a tray full of premium, new-growth material. 24. We keep the freshly excised material damp and misted throughout the entire procedure. 25. 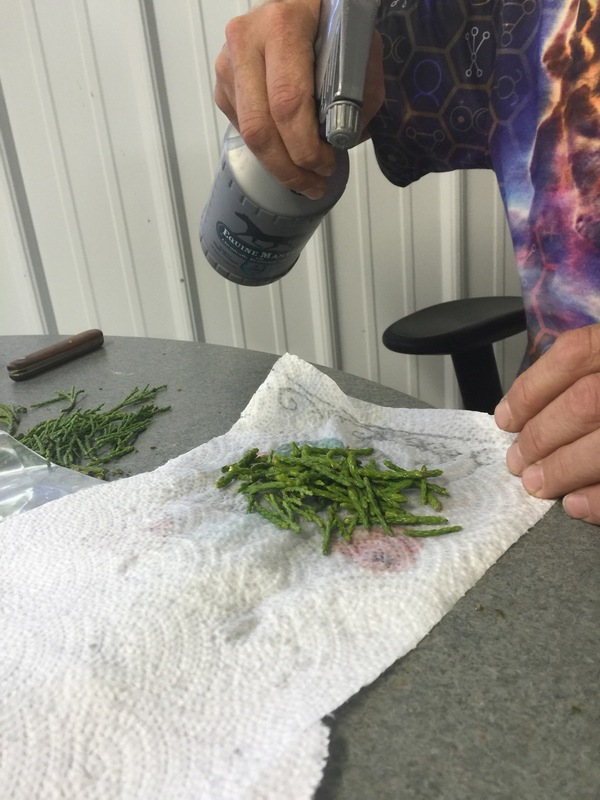 We give each cutting a brief dip into a growth regulator solution. 26. Here is a cutting, ready to be stuck into a rooting block. 27. 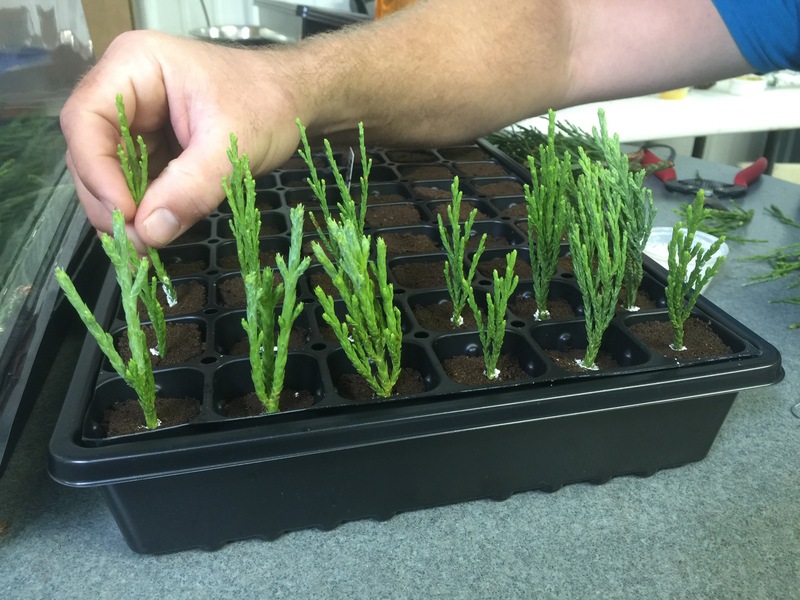 Here is a partial tray of cuttings after they have gone into their new protective peat blocks. 28. 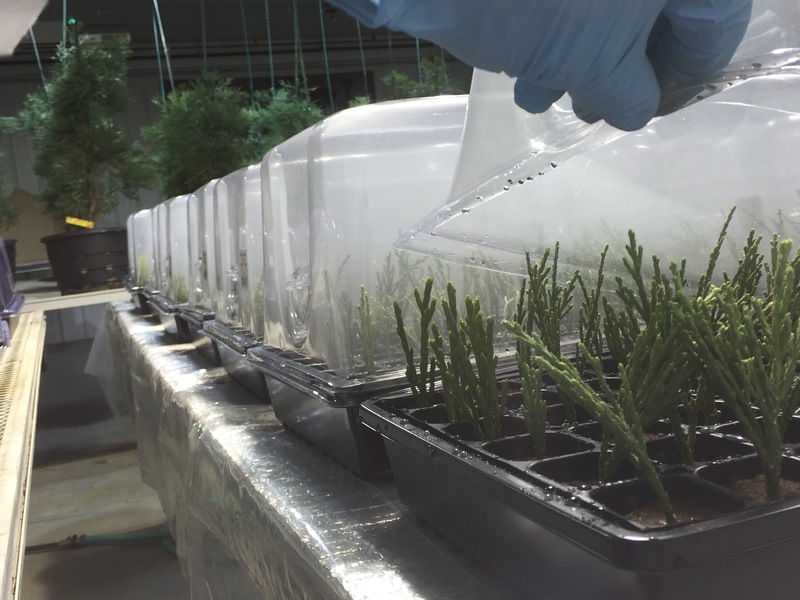 Once we have finished sticking a tray of 72, we put a humidity dome over top of the new cuttings. 29. We keep filling more and more domes. 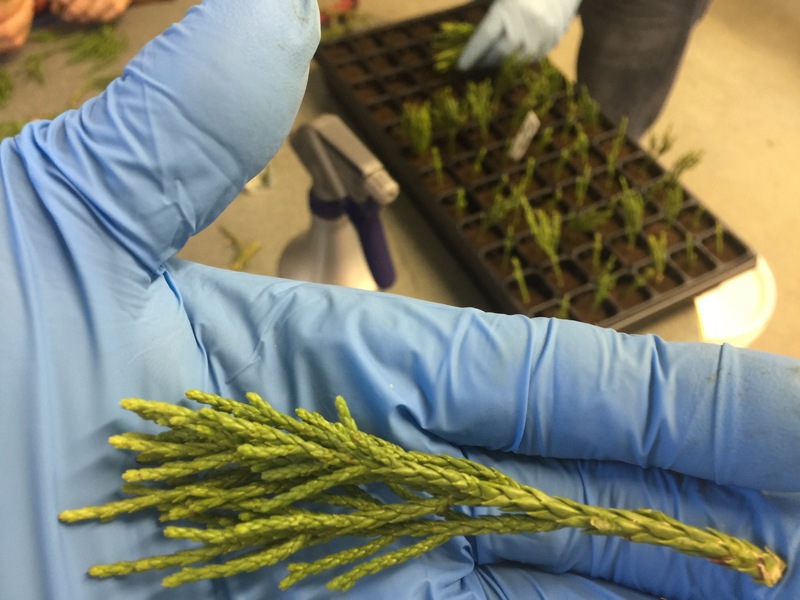 This is how we coax these 3,000+ year-old trees into making replicates of themselves. 30. This actual ancient tree cutting has rooted and is ready to be moved into potting soil. 31. Our mission at Archangel Ancient Tree Archive is to build forests. This is the special way in which we do it. This is done nowhere else on earth at the moment. 32. In building forests, we like to use these premium, ancient trees at a level of about 10%. The other 90% are from trees grown by seed. 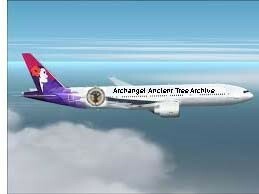 Archangel Ancient Tree Archive also grows trees by natural seed. Nick Markley, left, and luminescent Doug, right, were absolute pack-mules, gently clipping a rucksack full of premium, green sequoia cones. 33. 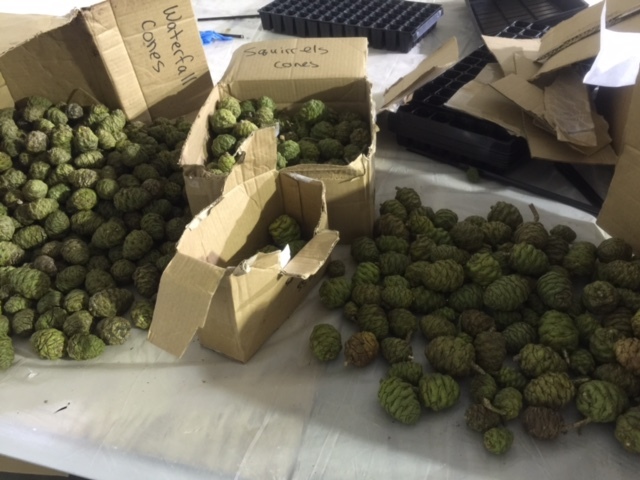 Here are the cones, sorted and being readied for agricultural inspection. 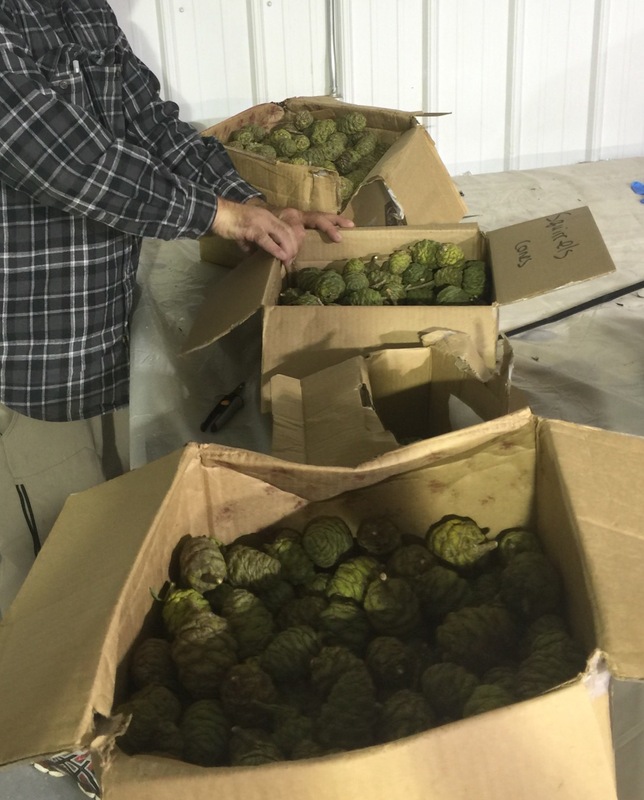 Both the cones and the branch-tip material are inspected and given a certificate of clearance for travel back to Michigan. 34. Here they are back at the Michigan facility. 35. We had several boxes shipped back to Michigan. 36. From here, Jake laid all the cones out on trays whose bottoms were screen mesh. These trays were then laid out on wire racks. We put a big piece of paper underneath the bottom of it. 37. 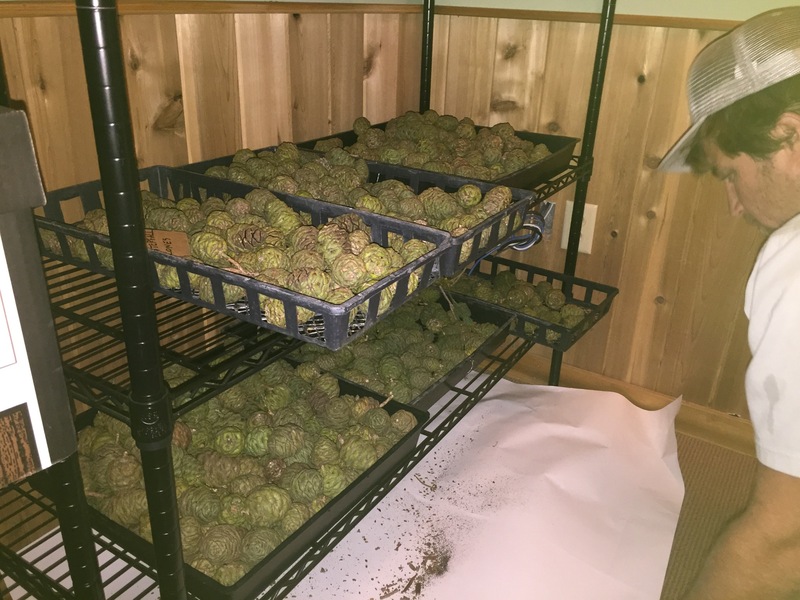 The video below illustrates the high-tech method by which Jake gets the seeds to come out of the cones once they are dried and allowed to open up. 38. 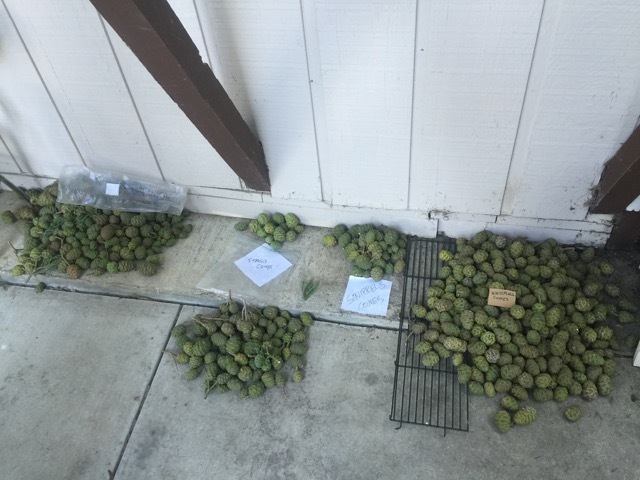 This image shows the size of the cones and the actual size of the individual seeds – they are tiny. 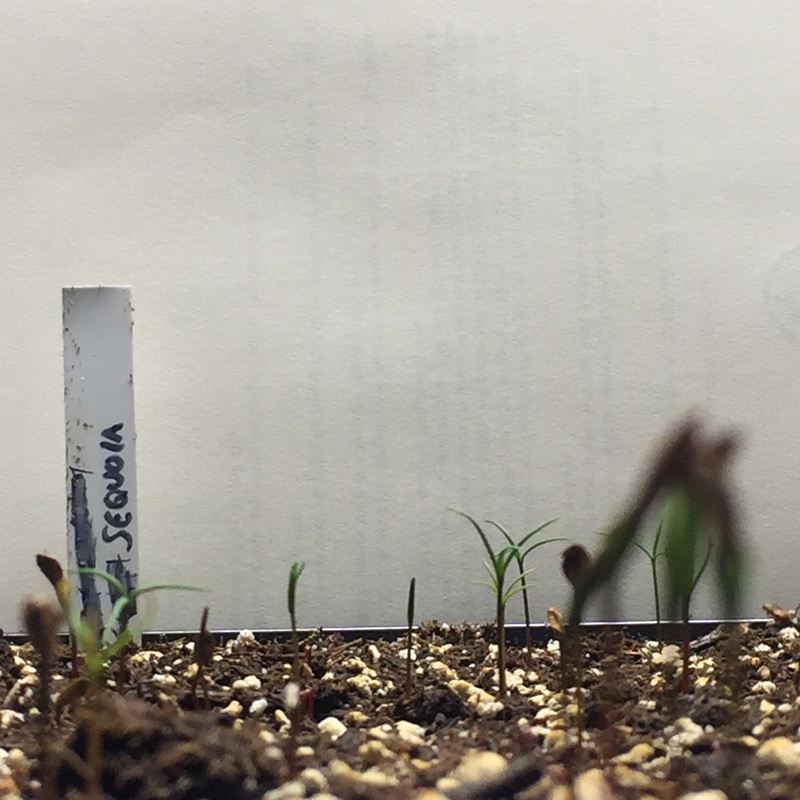 Three sequoia seeds would fit inside of a grain of rice. It looks and feels like grass seed. The awesome power of the double helix. 39. 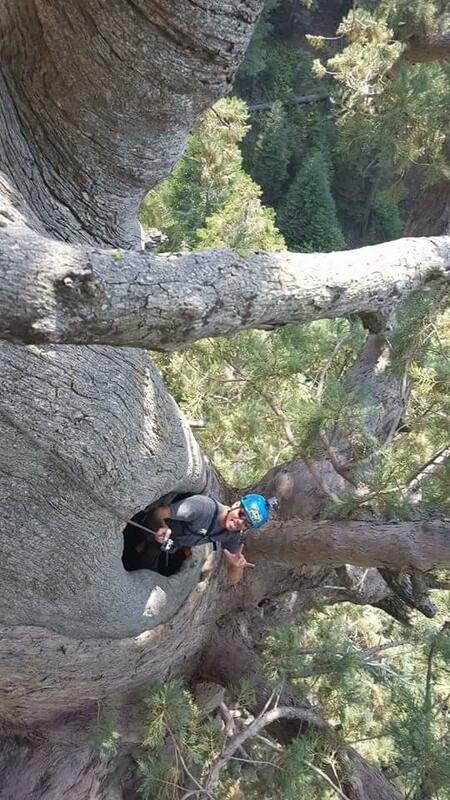 Team member Bo Burke standing beneath a 3000 year-old ancient giant sequoia. 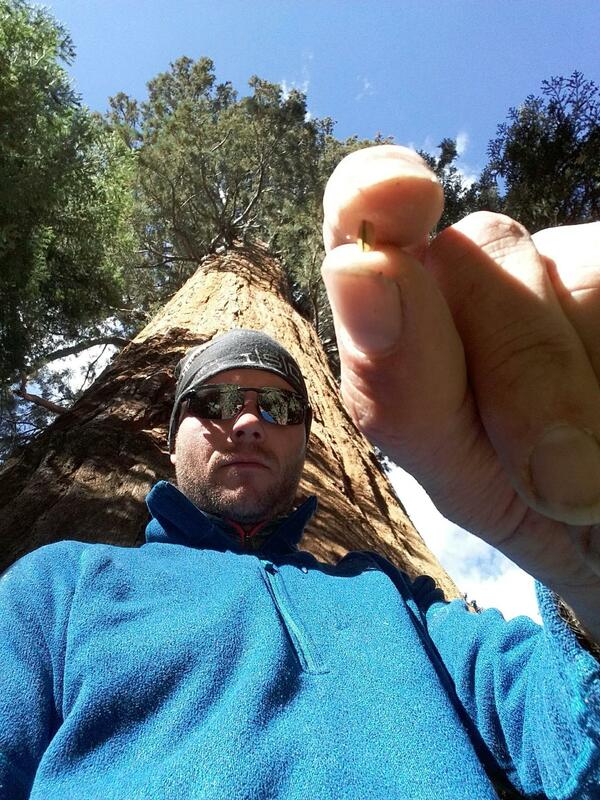 Bo holds a single sequoia seed in his fingertips. 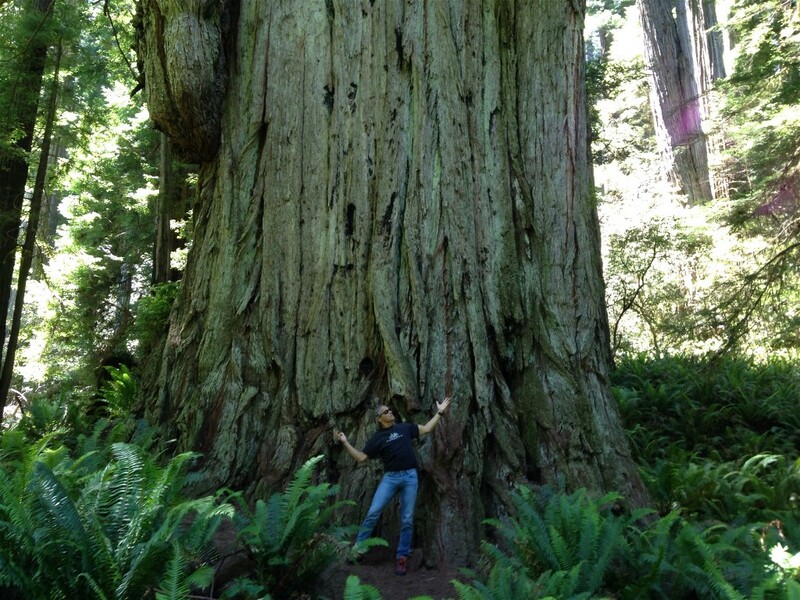 The seed is one third the weight of a grain of rice and gives rise to these gigantic trees. 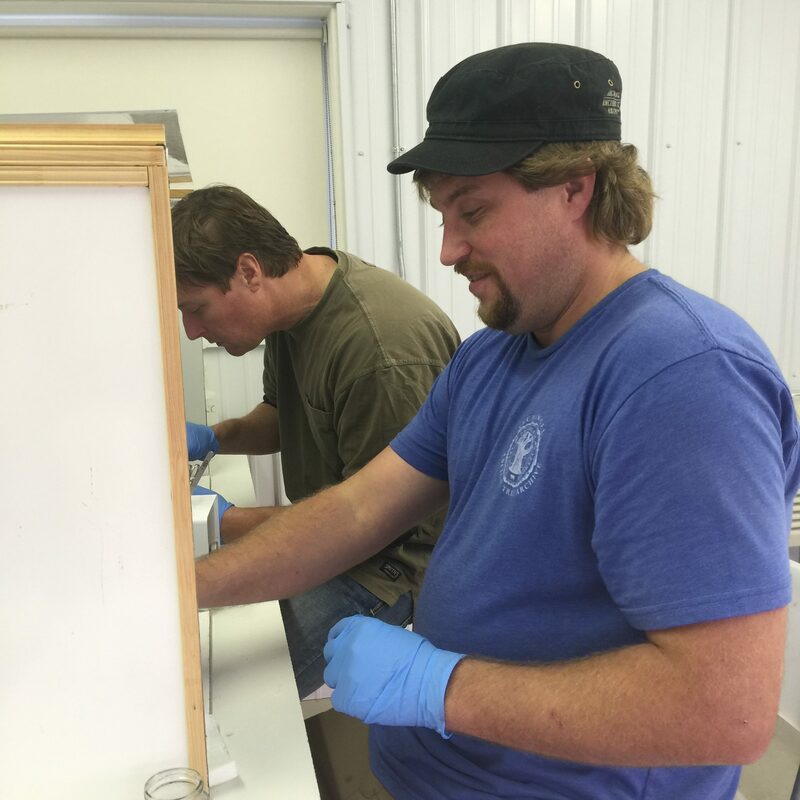 We think there is something special in those genetics worth preserving. 40. 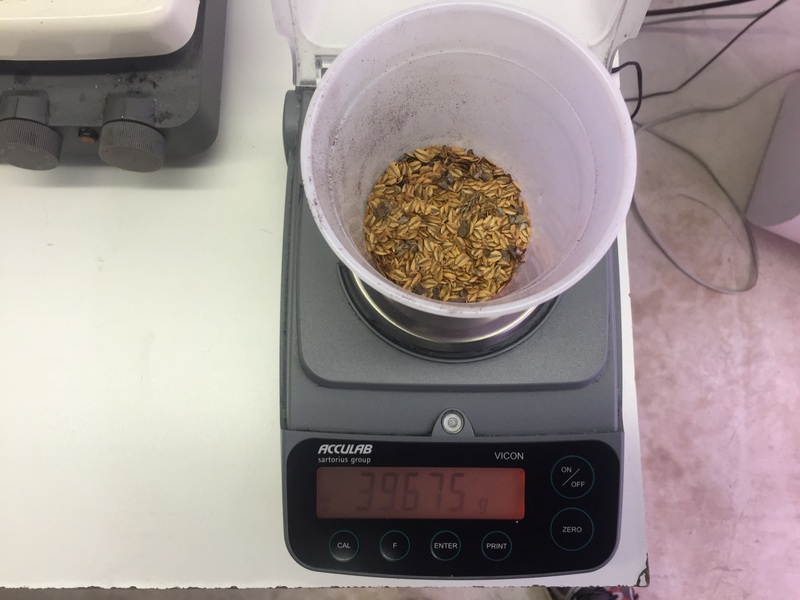 The seeds were weighed. 41. 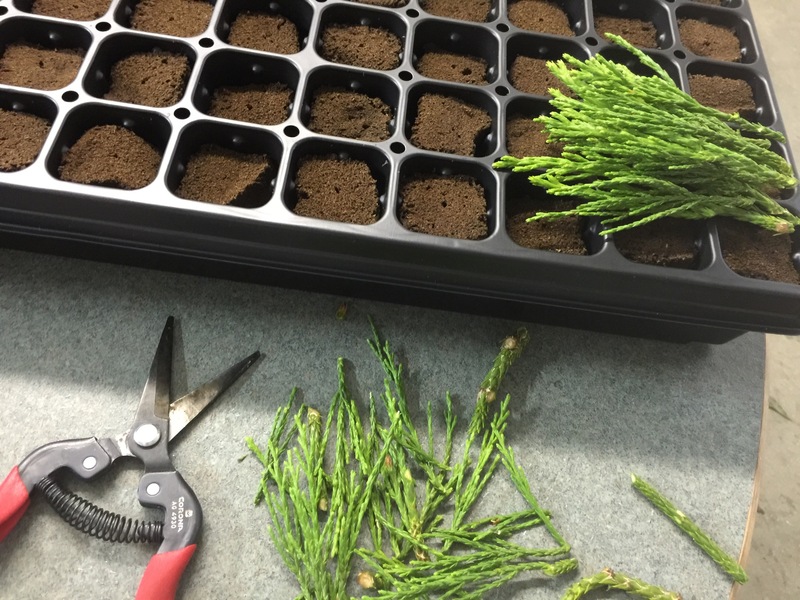 Ten grams were laid immediately into trays of potting soil. 42. The seeds were sown onto the surface of the soil. 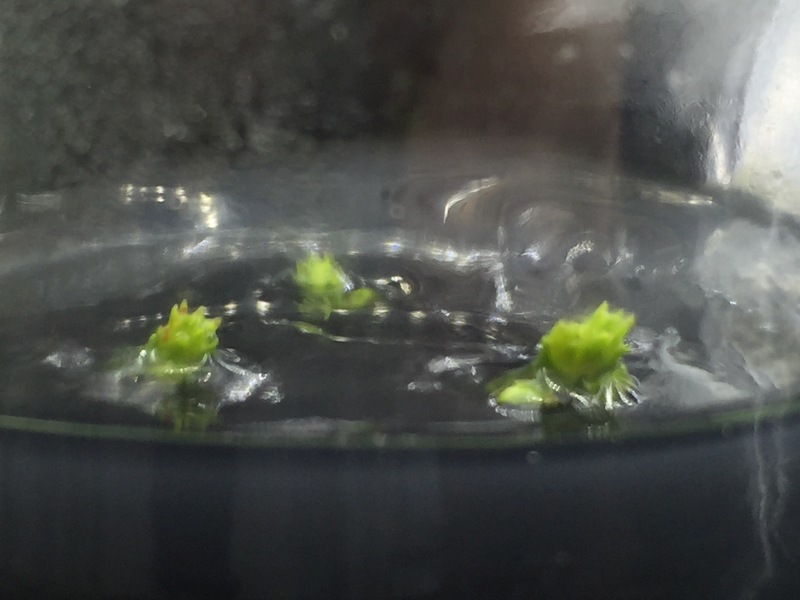 Jake has achieved germination without cold stratification. 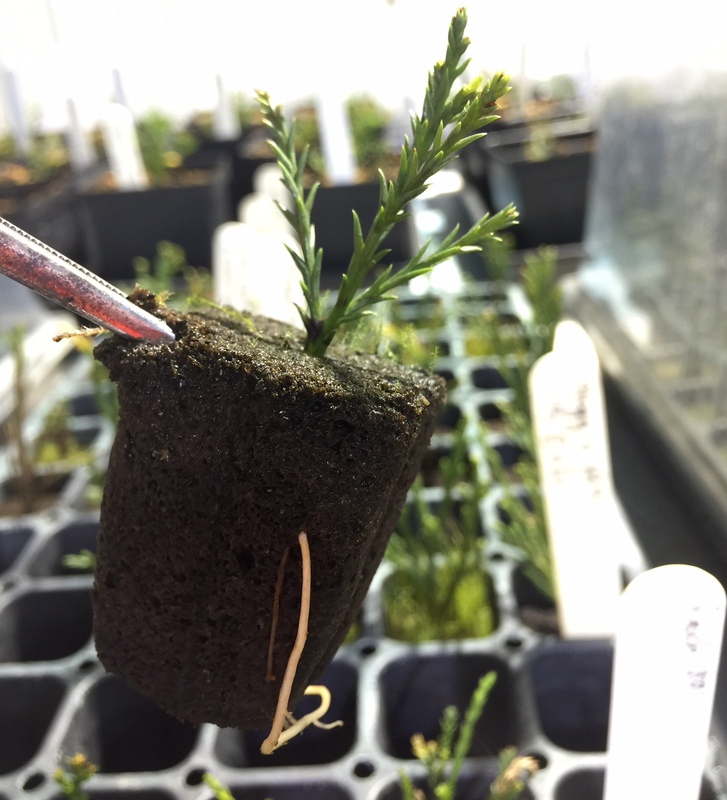 Straight out of the cone and into potting media. 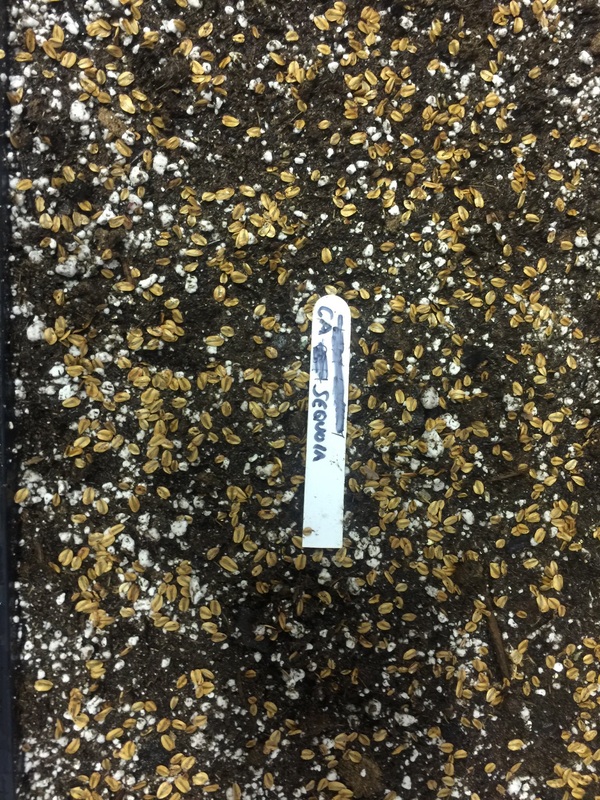 Two weeks germination time. 43. But wait! There’s more! 44. 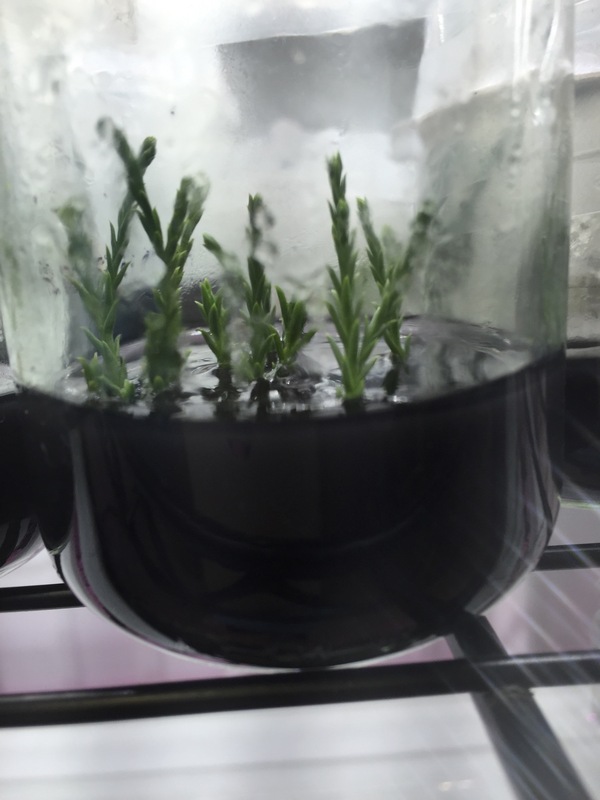 Tissue culture and micropropagation. 45. 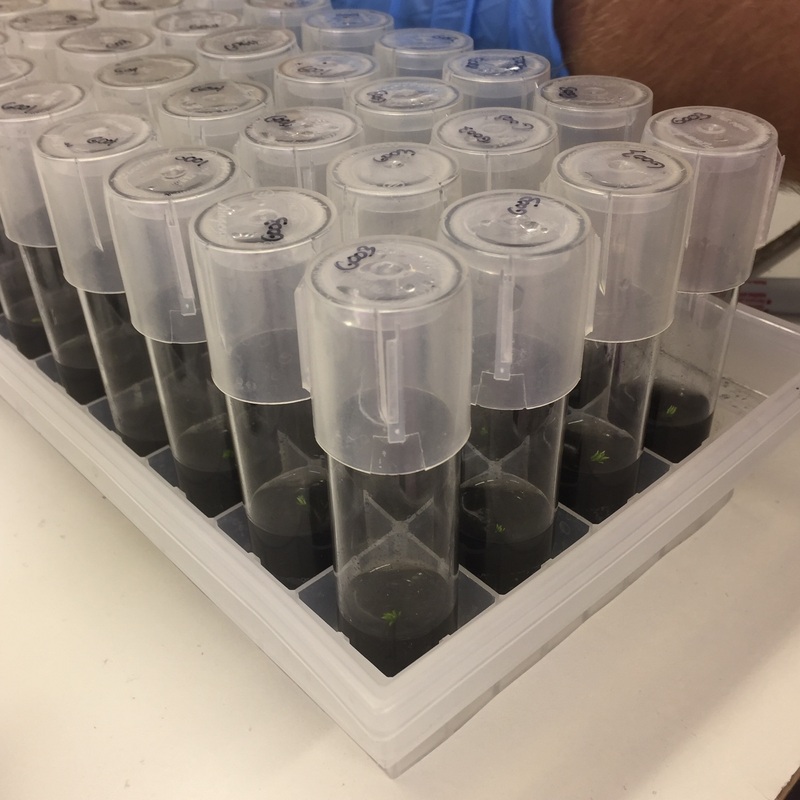 We culture tiny bits of apical tissue in a sterile environment. 46. When the tiny pieces grow big enough, we transfer them to a baby food jar. 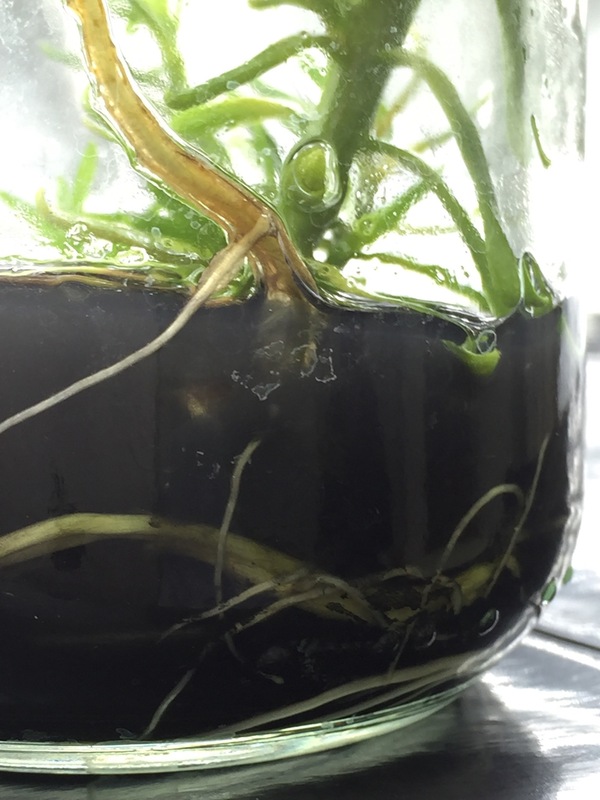 The growing plant eventually develops roots. 47. 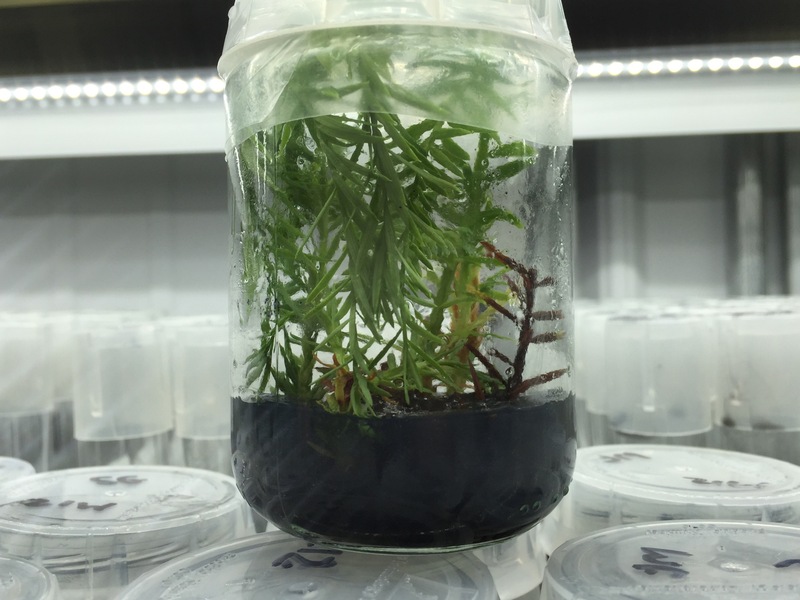 For tissue culture, we like to use the newest, freshest growth tips. 48. Here are premium growth tips. 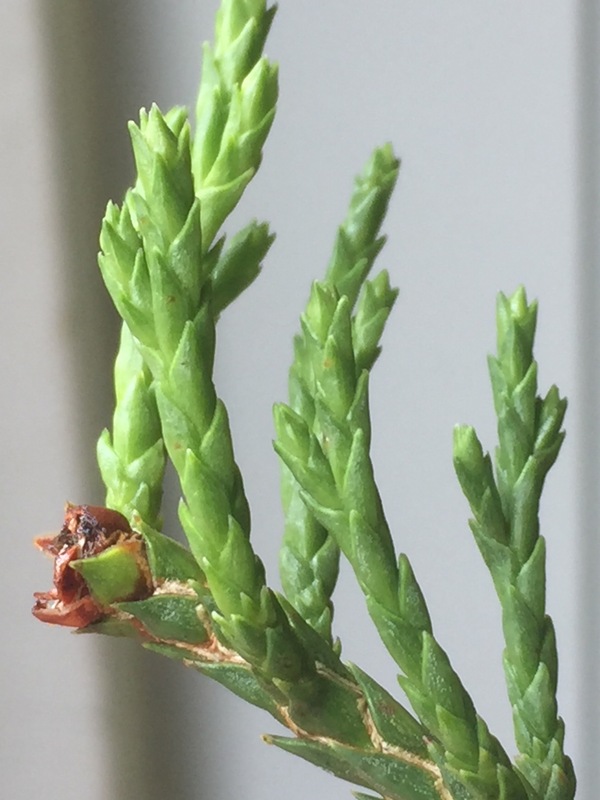 You can see this branch tip was damaged and broken off earlier in the season. The series of lateral branches you see here are a tissue culturist’s dream. 49. Sometimes we will put six or eight explants in one jar. 50. Sometimes the material we take is extremely tiny. 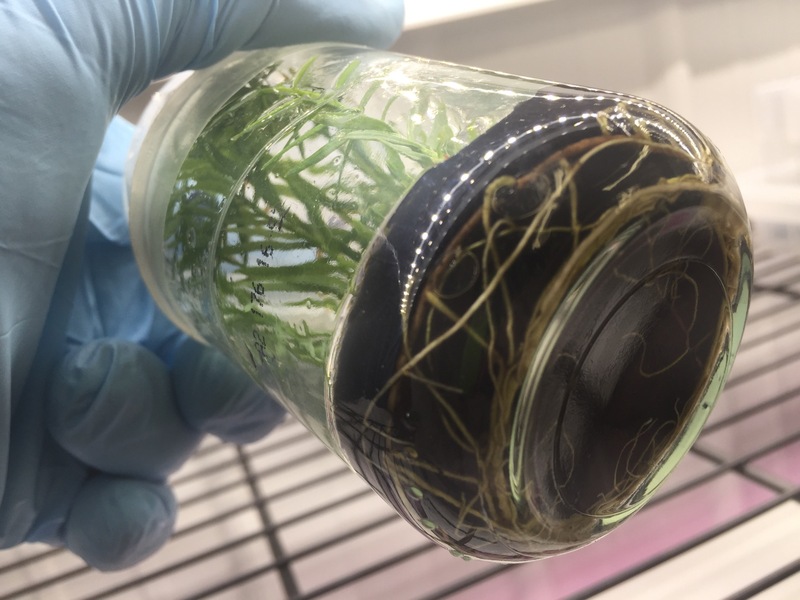 This is called micropropagation. 51. 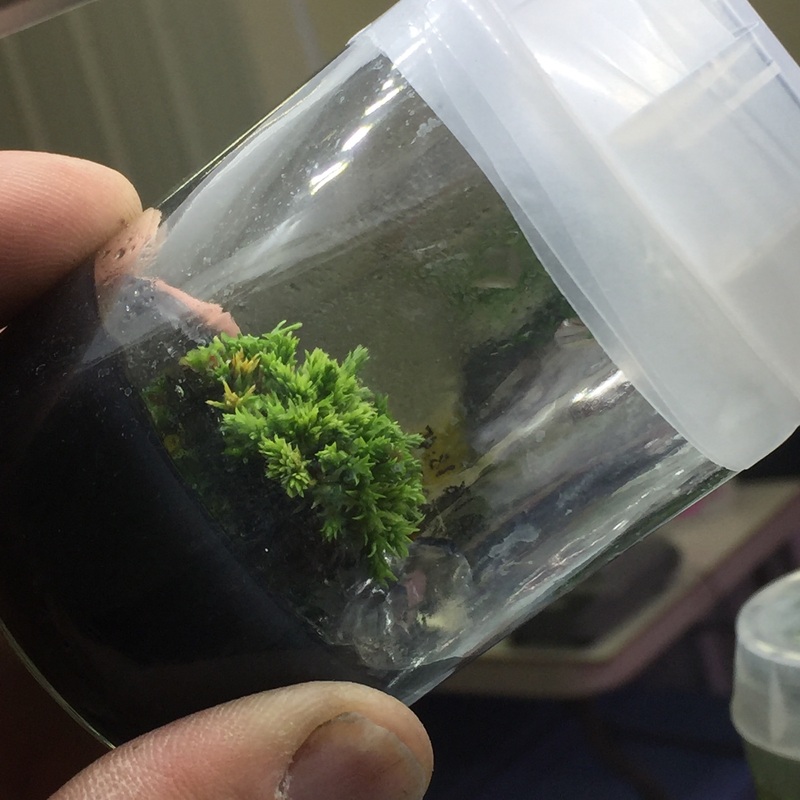 Eventually these tiny pieces of tissue grow big enough to fill up the space inside the jar. 52. And eventually it will force roots. 53. 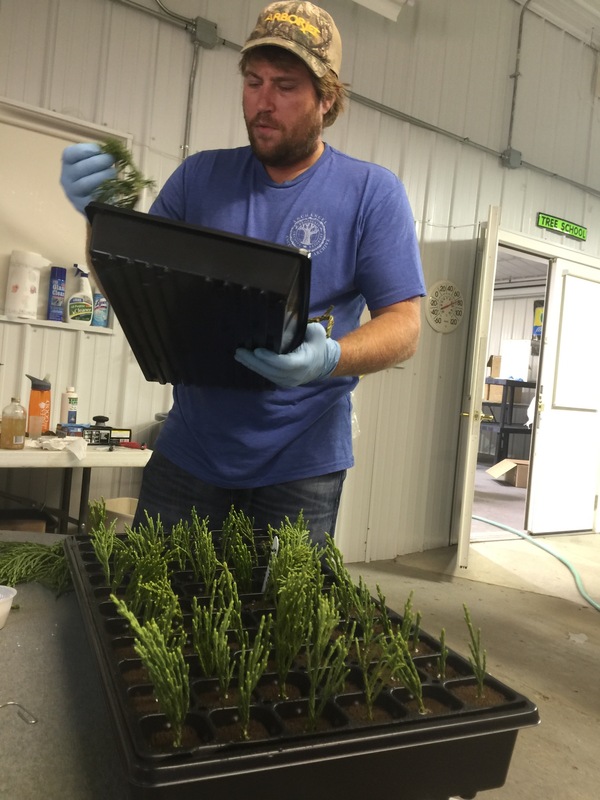 This right here is our goal – robust plant growth and vigorous, abundant roots. 54. 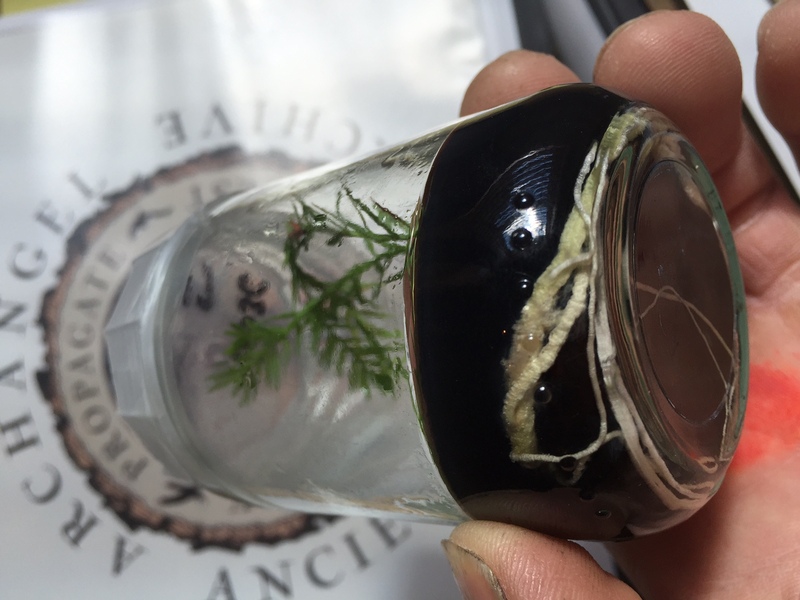 Archangel Ancient Tree Archive truly feels that a great part of our future lies in the use of tissue culture and micropropagation, shown in the video below. We can ship these worldwide, and because they are certified pathogen free, the inspection process is greatly simplified. Shipping 200 giant sequoia trees can be done in the volume of a suitcase. 55. 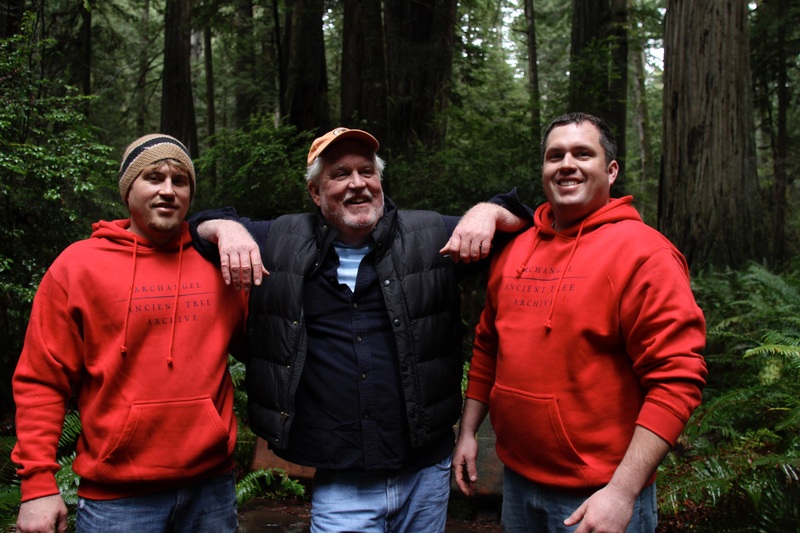 Our Grand Poohbah, David Milarch, alongside his sons, Jake on the left and Jared on the right. David, you have endured when it would have just been easier to quit. But you are not a quitter. You have created hundreds of priceless opportunities for the volunteers and contributors who find value in your work. Your tenacity alone is cause for inspiration. 56. A monumental thank you to the man at the center of this book. 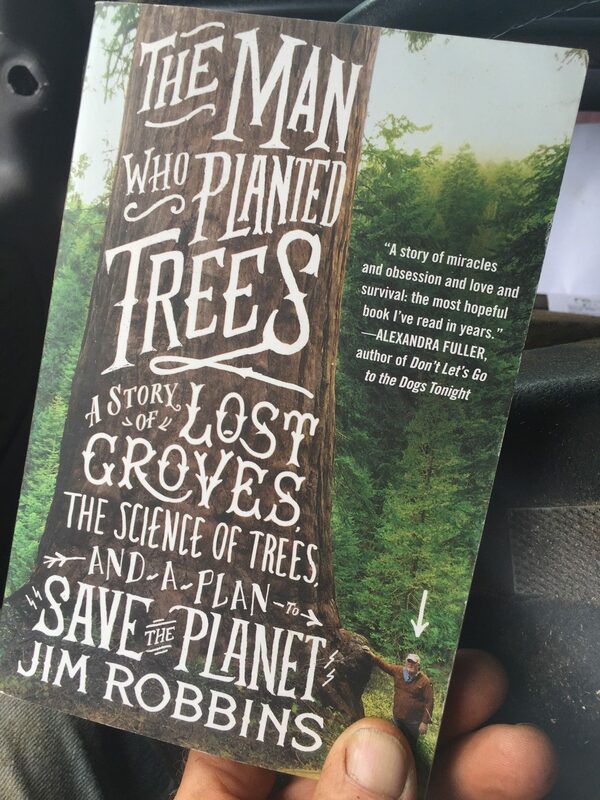 David Milarch IS The Man Who Planted Trees. David, Thank You for providing us the opportunity to be in the yet-unwritten chapters in the future copy of this book. 57. 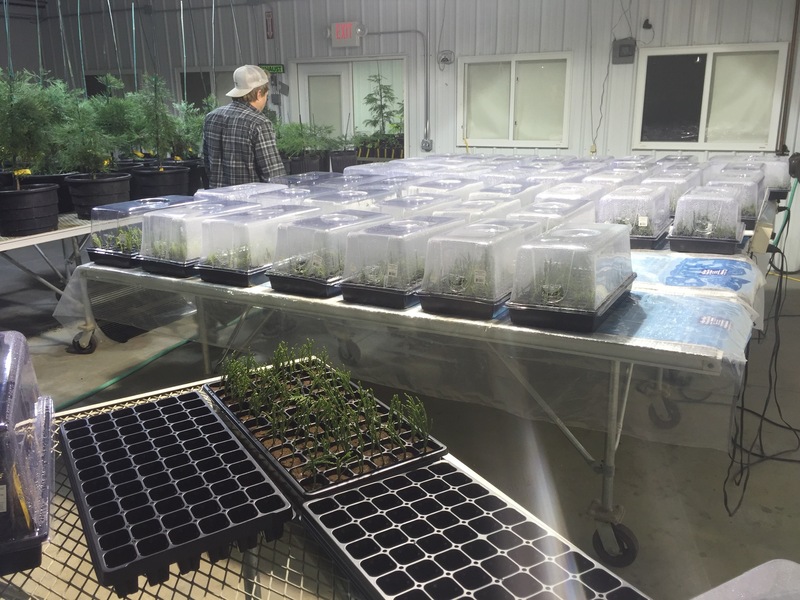 Jake Milarch, Director of Propagation and Education Program Director at Archangel, is directing tissue culture development and all other methods of propagation. Jake also organizes Archangel’s Expeditions to the giant trees and manages the day-to-day operations at Archangel. 58. I, Jim Clark, aka “The Tree Machine”, am a volunteer given an opportunity. I’m beyond grateful to be part of this fascinating and important project. Volunteering, and working with other high-level volunteers on behalf of our trees, soil, air and planet has been an honor. 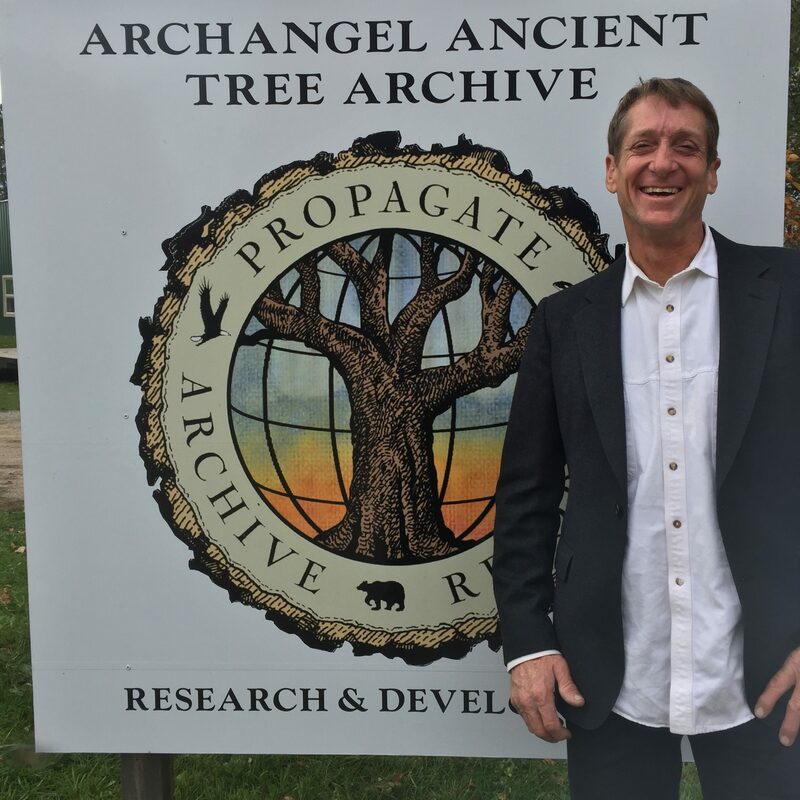 Donating money to Archangel Ancient Tree Archive is perfectly acceptable and will help them in their mission to reforest the earth with new “old growth” trees. Receiving donations from you with encouraging notes really boosts morale. It means so much to this hard-working crew. Your dollars make a direct and personal difference towards the success of this project. You DO provide direct, immediate benefit and your dollars are applied toward helping this planet.